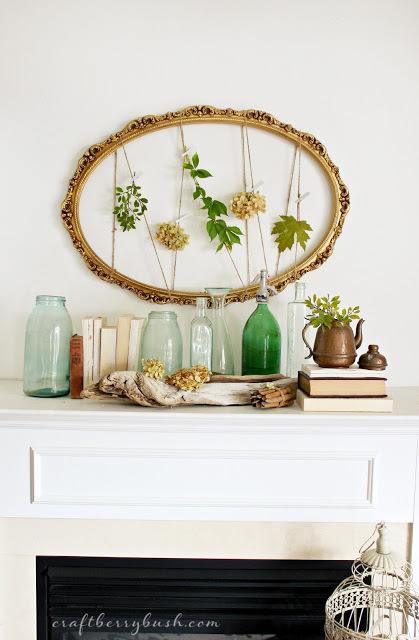 Here's a great way to transition your mantel decor from Summer to Fall from Craftberry Bush. I love this idea because you can use the same frame to transition into different holidays or seasons. Just swap out the leaves and flowers for ornaments or snowflakes. For the Fall, you might want to use faux flowers to prevent them from drying up a bit and crackling onto your mantel. Plus, they might be easier to hang from the twine. Find the full tutorial here. YOINKS! IT'S A SCOOBY DOO BIRTHDAY PARTY! GARDEN PARTY – COWBOY STYLE!